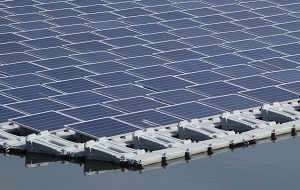 On April 26, 2018, an Expression of Interest has been submitted for a floating solar energy development in Afghanistan, Azerbaijan and Kyrgyz Republic, funded by the Asian Development Bank (ADB). The experts submitted to the ADB are located in the U.S., Indonesia, Egypt, UAE, Saudi Arabia, Cap Verde, China, and other countries, at a 50:50 gender mix. An important startegic step has been accomplished by reaching a memorandum of understanding about the establishment of a local representation. The representation focuses on supporting TBA's efforts in developing a presence in the Indonesian marketplace for customized high end but affordable B2B IT-developments and to serve as a local base for the development of renewable projects in the region.